The iconic HM3 is back and in stunning shape! 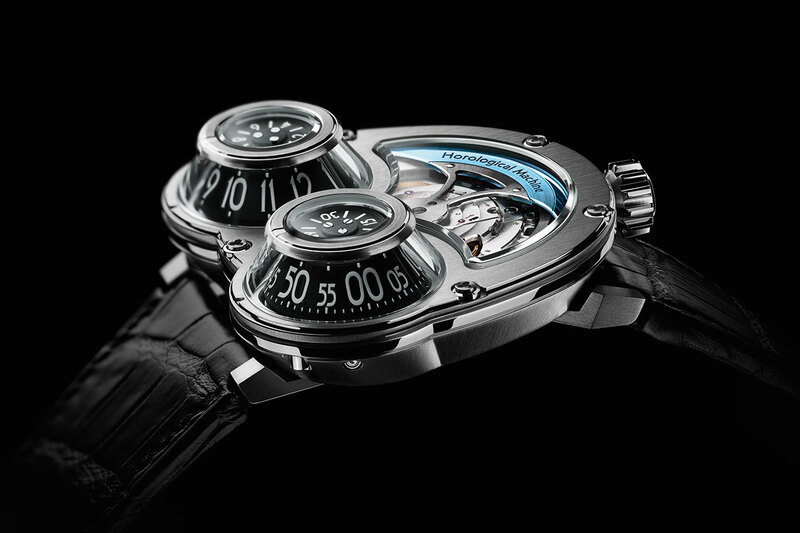 The automatic mechanical movement, developed on a Sowind base by Jean-Marc Wiederrecht, the horological wizard of Agenhor (Atelier Genevois d'Horlogerie), has been turned upside down so that the massive oscillating weight is well and truly visible on the dial side. This technically challenging solution keeps the rotor's hypnotic movement permanently in view. 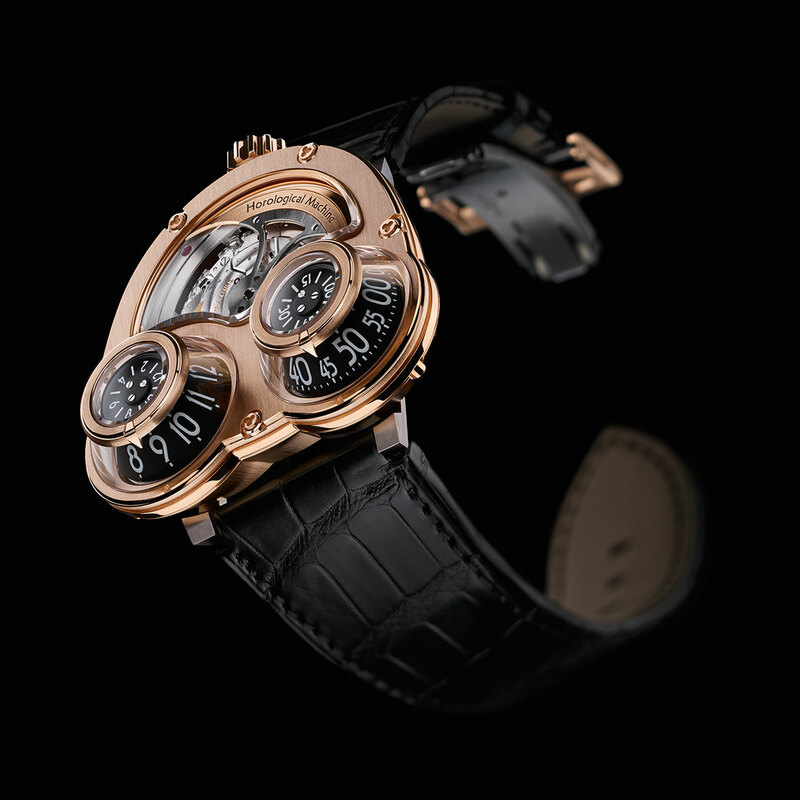 It also brings an additional dimension to a timepiece that already has aficionados in awe, whether for its architecture or the innovative way it shows time on two rotating cones. These are in aluminium, protected by a sapphire crystal. The cone on the left shows hours while its counterpart on the right displays minutes. Producing the cones is yet another feat of technique as minimising their weight means they are machined directly from a block of aluminium. Calling all collectors with an eye for the original!